Our company is one of the best Forging Furnace manufacturers in the state with high degree of reliability and guaranteed goods manufactured by using superb quality raw materials in affordable prices. The products provided by us are manufactured with high quality materials with assurance of high reliability and long lasting features which have extensive demand in the market. 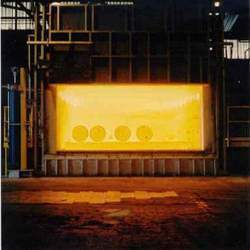 We are well known in the industry as the leading manufacturer and supplier of Forging Furnace. These products are manufactured using superior quality raw materials, which is obtained from the most trusted and reliable vendors in business. These products are tested by our team of skilled and qualified professionals to ensure international standard quality products. Furthermore, we are able to design the products according to the demands of our valued clients.